The default firmware provides a serial communication that you can use to send AT commands to your module, just like in the old telephone/modem days. 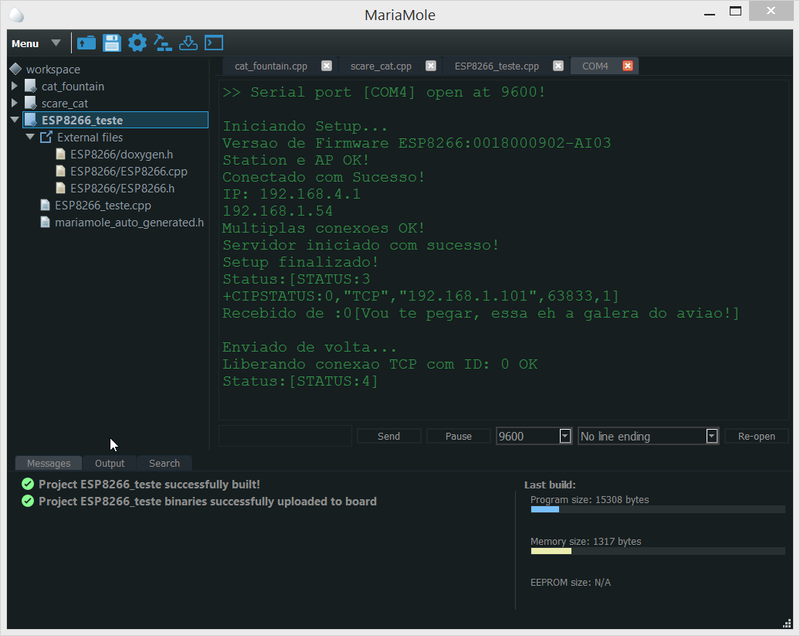 These commands provide everything you need to connect to an WiFi router and send/receive data. The logic connections between Arduino and ESP are very simple: ESP-Rx goes to Arduino Tx, ESP-Tx goes to Arduino Rx. However, all ESP-8266 run on 3.3V, while Arduino pins run on 5V. Before connecting them, you shall provide a way to adapt these voltages, or you could damage your ESP. Note that I'm using the CD4050 only to adapt the Arduino-Tx to ESP-Rx. There's no need to adjust the ESP-Tx to Arduino-Rx, since the Arduino port can handle 3.3V. Also note that the Arduino 3.3V regulated output (50 mA max) can't drive the current requested by the ESP (Up to 200 mA). Some tutorials on the Internet use the Arduino 3.3V to power the ESP, but it didn't worked for me. I'm using an external power supply (An old 5V Android charger). I'm using a diode and resistor (17 kOhms, but any large value will work) to decrease my 5V power supply (Here depicted as a battery pack). Depending on the quality of your power supply, you can use one or two diodes. As mine wasn't a good one, a single diode was enough to get 3.7V when the circuit was powered on. When using an external power, do not forget of interconnecting both Arduino-GND and power supply GND, to keep the voltage reference. If you don't do that, you'll end up with a lot of transmission errors, again. RST: Reset. Keep it on high (3.3V) for normal operation. Put it on 0V to reset the chip. You can see that, in this example, all pins go to VCC (3.3V), except GND, Rx and Tx. 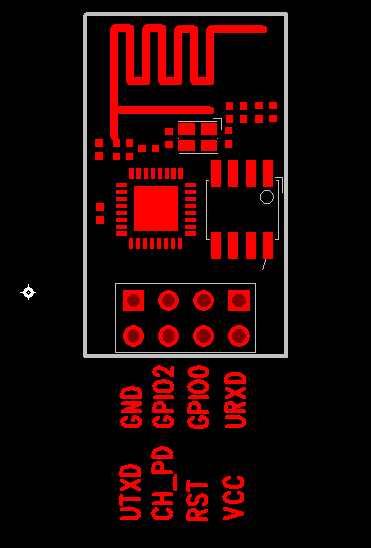 One dedicated serial port, connected between Arduino and ESP, where Arduino will send AT commands to ESP. A second serial port, connected between Arduino and the computer, where you can type your AT commands. So, the best Arduino model for this task is Mega, since it provides up to 4 serial ports. You can still try other models, using the SoftSerial lib, but this library has some speed limitations, and it may not work with some ESP models. 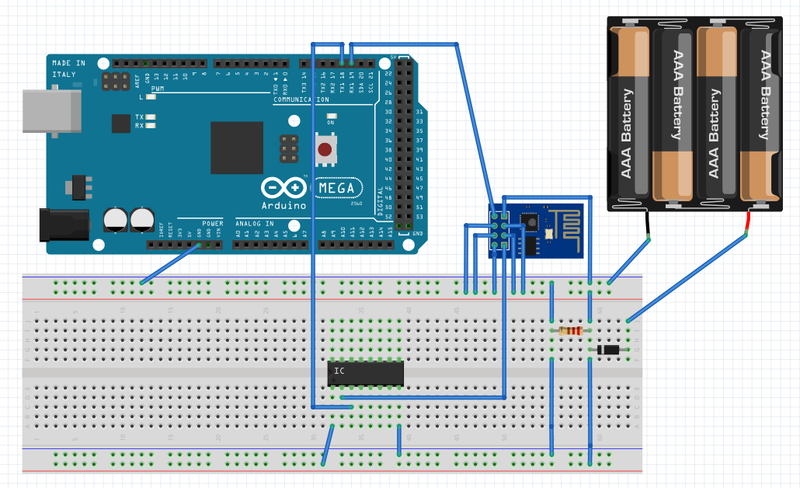 This code simply relays data from both Arduino serial. It gets the AT commands you type at your computer and sends them directly to your ESP. It also gets ESP return data and sends to your computer. 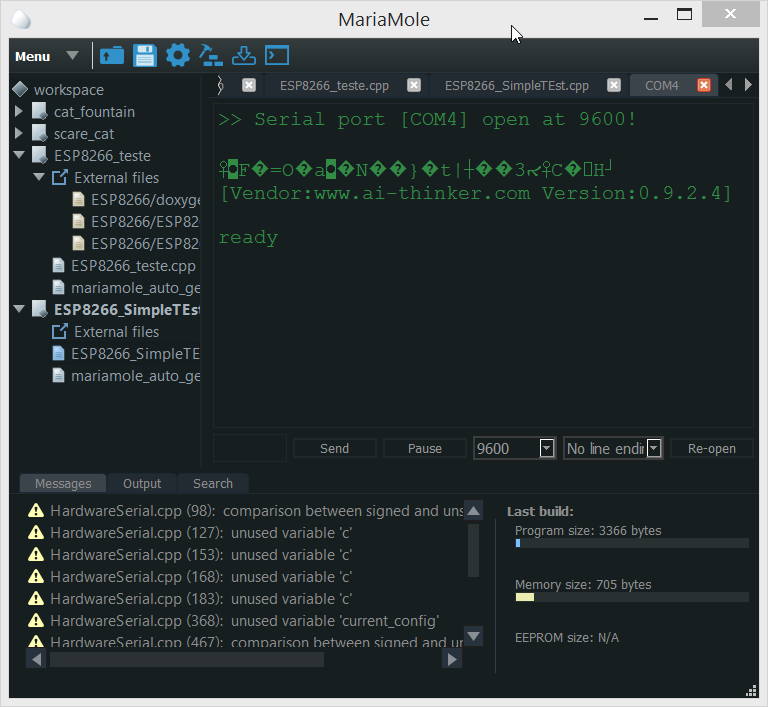 The "ready" text on your terminal means that your ESP is ready to receive your AT commands. You can get a list of them at the bottom of this page.